East Coast has long been renowned as the most versatile band in the Tri-state area. They have played at thousands of events all over Long Island, ranging from weddings to corporate affairs and night clubs. East Coast is a unique band for so many reasons. East Coast plays music that makes every affair and event memorable, including songs that are not in your typical wedding band fare. To find out more about which songs that we have on our list, check out our Song List. If you want to hear samples of our songs, check out our Audio Page. East Coast has regular public performances so if you are thinking of hiring their band for your wedding you can check them out before you make a decision. 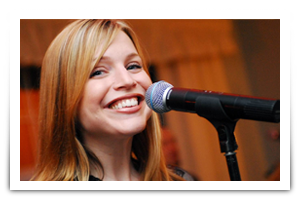 We welcome clients to meet and get to know the individual performers of the band. When hiring a band for your event you should feel entirely confident and comfortable so that when the big day comes you will be stress free in regards to the entertainment. We know that you have a pretty good idea already the way you want your event to go, so we at East Coast work with you and put in every effort to completely personalize your event. From the beginning you will be working with the performers of our band, and this leads to a level or personalization and confidence with the band. Our goal is for every client to be so ecstatic and thrilled about our performance that they will become our biggest advertisers and biggest supporters. We combine the input from you along with our experience and expertise in order to create a party that is sophisticated, elegant and full of energy. East Coast is also unique and different from typical wedding bands because we are just as much a family as we are a business. The band has been in existence for over 30 years and we have played at well over 4,000 functions all over Long Island and the surrounding areas.